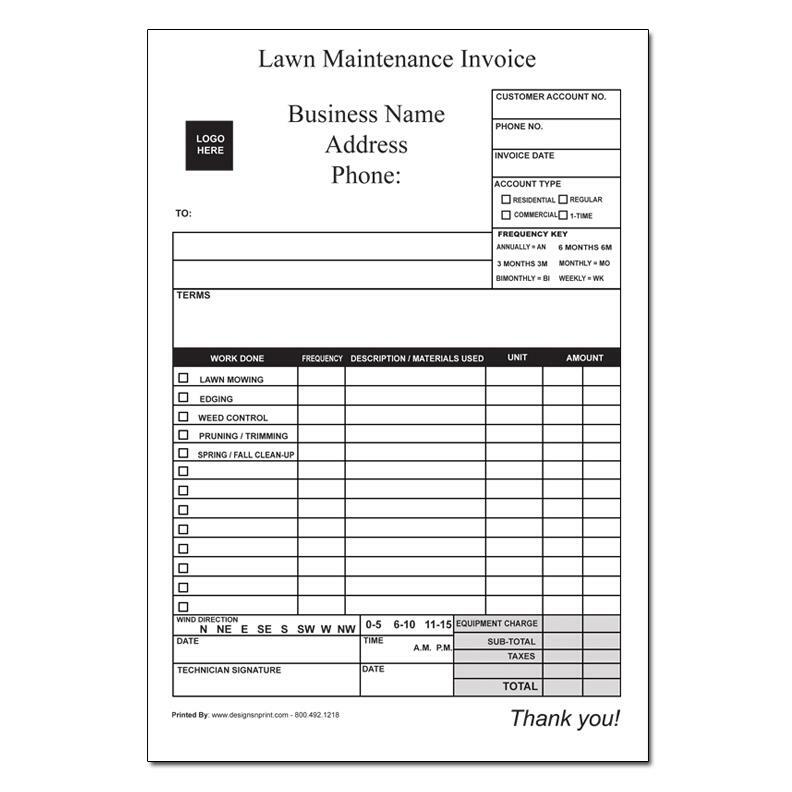 Be ready with a Lawn Care Receipt Book for all your landscaping or lawn maintenance jobs. 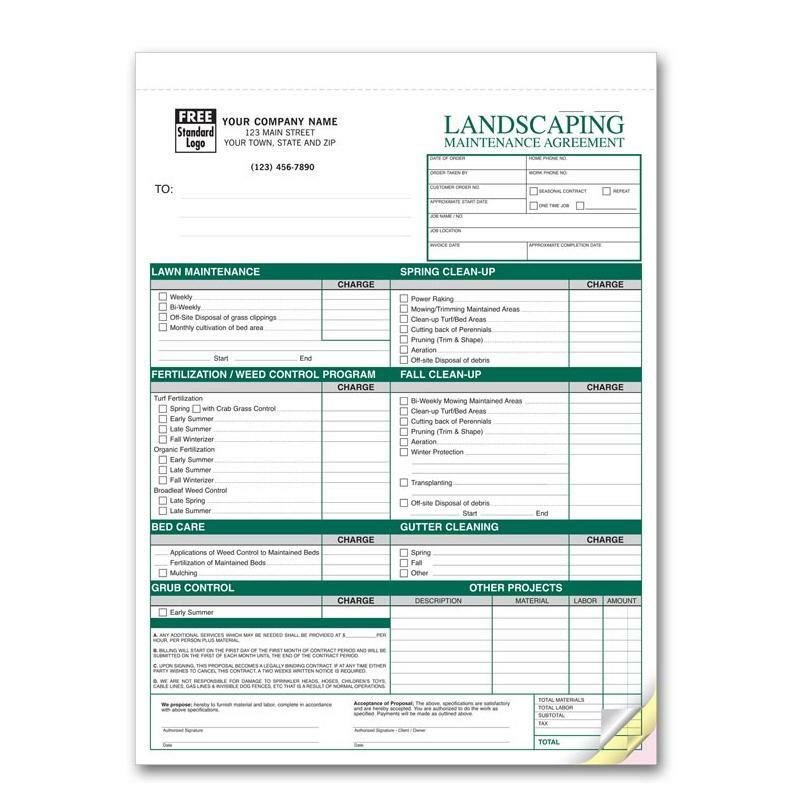 These forms are specifically designed and printed to cover all the services offered. 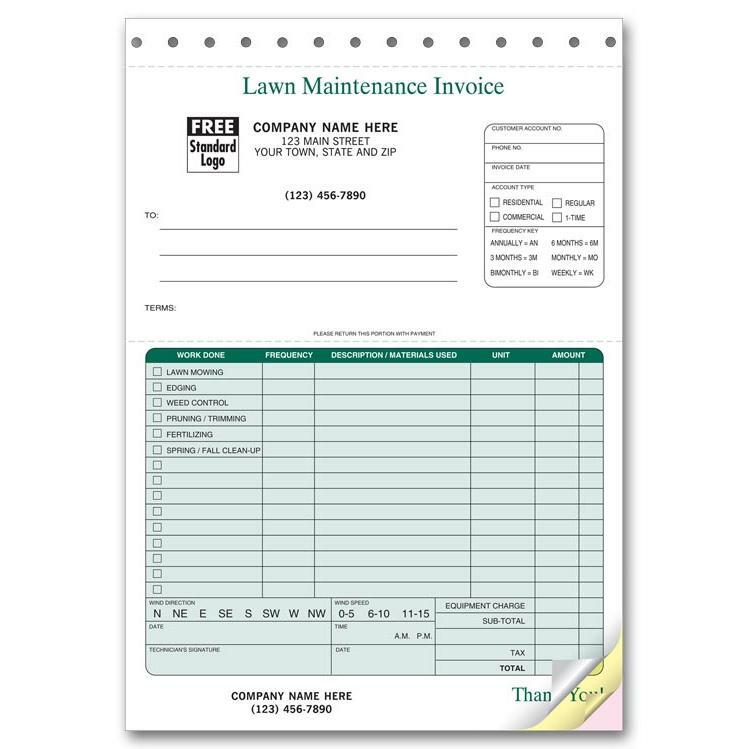 It's pr-printed in green to give a complimentary look and feel.